And run run run away ? 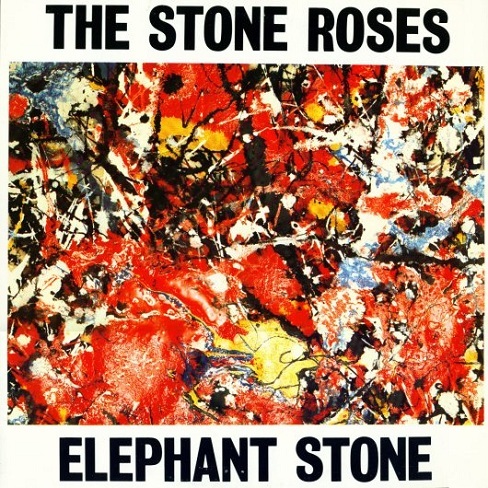 Elephant Stone entered the charts on 3rd March 1990, spending 6 weeks in the charts and reaching a highest position of 8. The Elephant Stone artwork is from 'Elephant Stone' (1988), calico on wood, 18" x 18"
Top row: Ian Tilton helped set the Pollock ball rolling on 11th September 1987 for a Sounds feature. 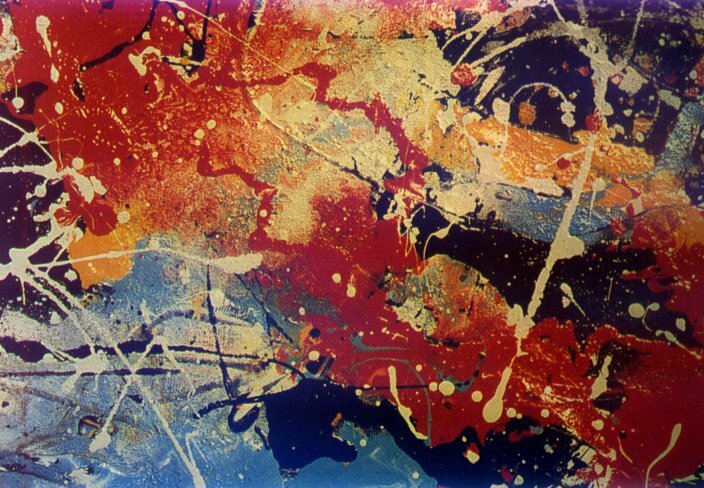 In September 1988, the band took this Pollock theme outdoors with a photo session at Gareth Evans's house. 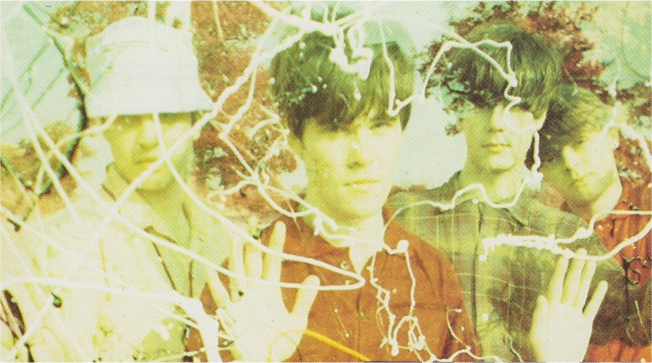 Second row (left): John Squire with a Pollocked glass backdrop. 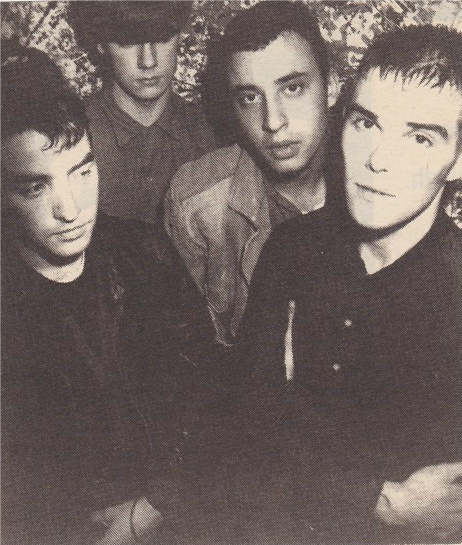 Second row (right): In late 1988, Ian and John were interviewed and filmed for indie music programme Transmission (made by European cable and satellite channel, Music Box) in their dark cellar rehearsal space at the International II. 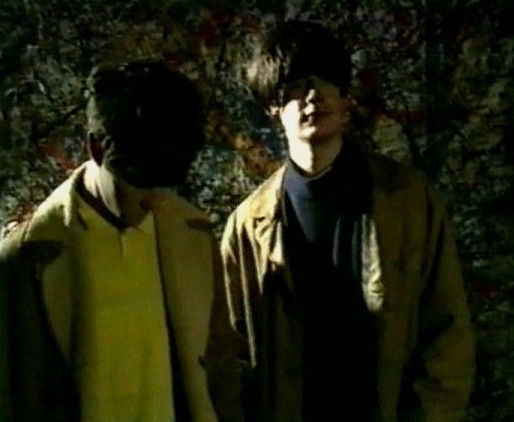 Ian and John are seen here standing in front of 'Untitled 3' (oil on cotton, 3.24m x 2.20m, 1988), and this artistic piece by the guitarist also serves as the backdrop to the band in the accompanying mimed performance of Elephant Stone. Both John's guitar and Ian's shirt are 'pollocked' in this video, with Reni's drums and Mani's bass soon to receive similar treatment. 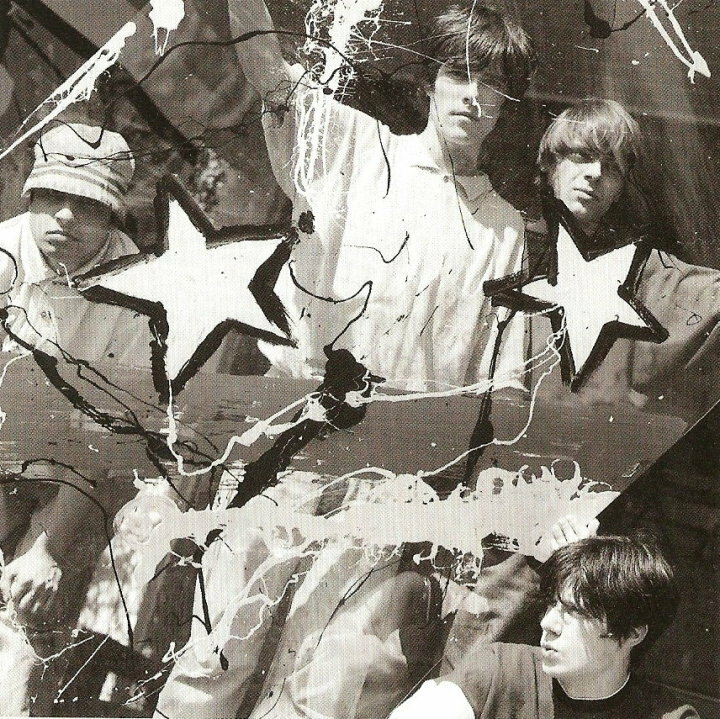 This release was the first in which John Squire's interest in Jackson Pollock became apparent. Squire's artistic direction, under the photographic tutelage of Kevin Cummins, would define the band's image in this era. 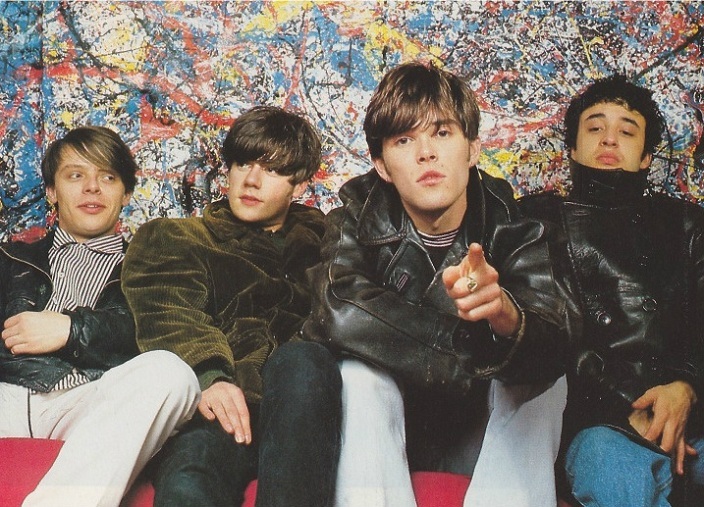 As part of a Rapido TV feature in September 1989, The Stone Roses were filmed roaming the area around Willesden High Road, before their arrival at nearby Battery Studios, North London. 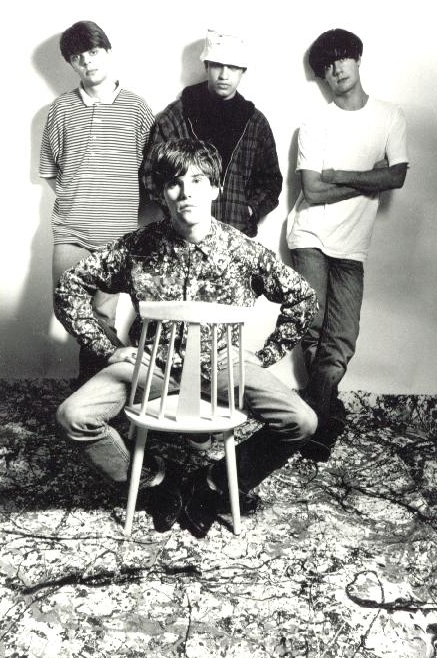 In this interview, in which Ian Brown on occasion is trying just a little too hard to appear sullen, the singer leaves little doubt as to who is the sole artistic driving force in the band. 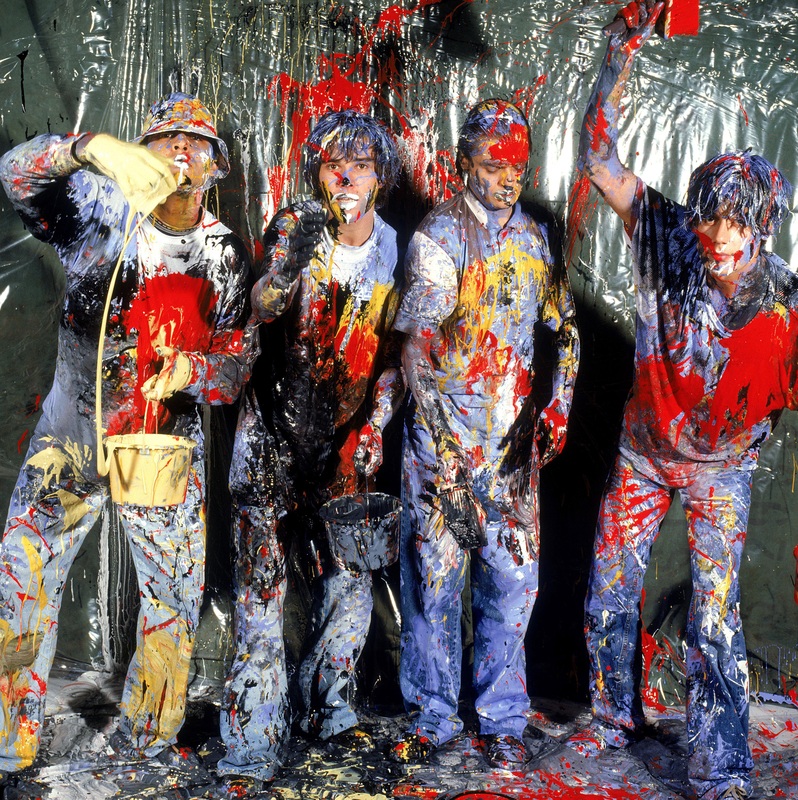 After Squire explains his interest in painting album covers, Ian looks to Mani and Reni, commenting, "It's hard for us (the rest of the band) to act interested when we're not, innit ?". 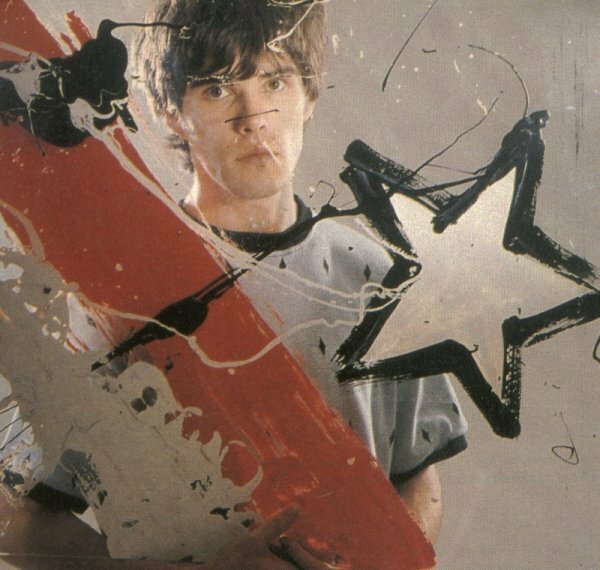 Ian Brown's Always Remember Me fondly recalls Squire's artistic hallmark from these times: Dippers and trippers / Paint on the walls (Some drug users dip marijuana or tobacco cigarettes in embalming fluid - known as 'loveboat' or 'dippers' - so as to enhance the high). Brown's solo career is peppered with fleeting reminiscence of his band's former glories. Cut through the cracks like a pavement flower from Return Of The Fisherman recalls the band's 'garage flower' roots. 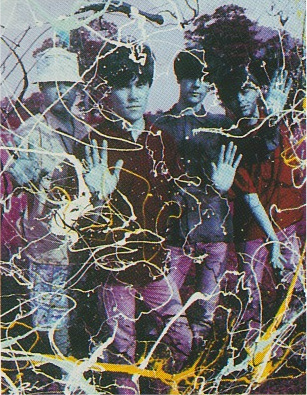 Third row: A John Squire Pollocked artwork formed the backdrop of this March 1988 Ian Tilton photo session, Mani's first with the band. Fourth row: Detail of the lysergic Elephant Stone artwork. Abstract Expressionism was a term first used in 1919, in Germany and Russia, to describe the painting of Wassily Kandinsky, and again in that context in 1929 by Alfred Barr, director of the Museum of Modern Art, New York. It was subsequently applied by the New Yorker critic Robert Coates in 1946 to the emerging post-World War II American painting, both abstract and figurative. 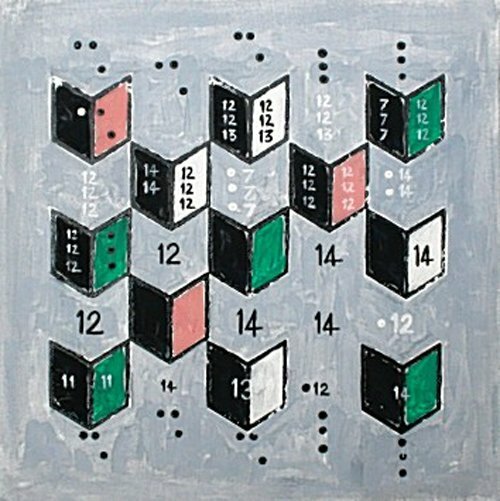 Stylistically, the term implies loose, rapid paint-handling, indistinct shapes, large rhythms, broken colour, uneven saturation of the canvas, and pronounced brushwork, as found in the work of de Kooning, Pollock, Kline, and Gorky; it also includes more reductive painters (e.g., Barnett Newman, Mark Rothko, and Ad Reinhardt) who focus on single, centralized images expressed in terms of large areas or fields of colour - hence the term colour field painting subsequently applied to such painters. Squire's artwork in 2006 moved through a Rothko-like, colour field phase. Final three rows: Elephant Stone promotional photos, 6th September 1988. 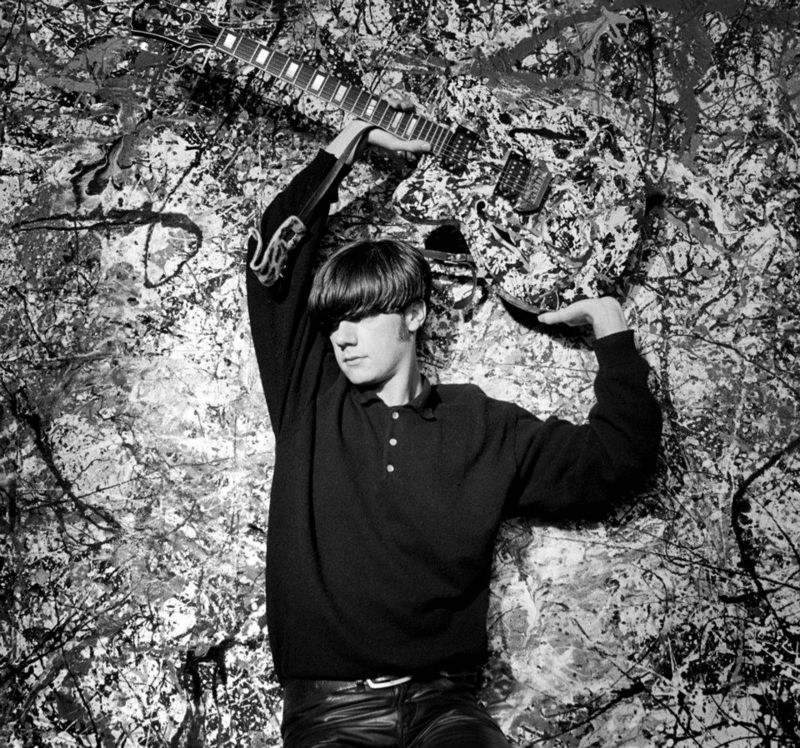 John Squire would bring canvases of his paintings to Ian Tilton's studio, for the photographer to copy onto high-quality film. Tilton photographed (both seven and 12-inch releases): Elephant Stone, Made Of Stone, She Bangs The Drums and I Wanna Be Adored. The Elephant Stone single was the first to feature Mani, who took over from Pete Garner on bass. 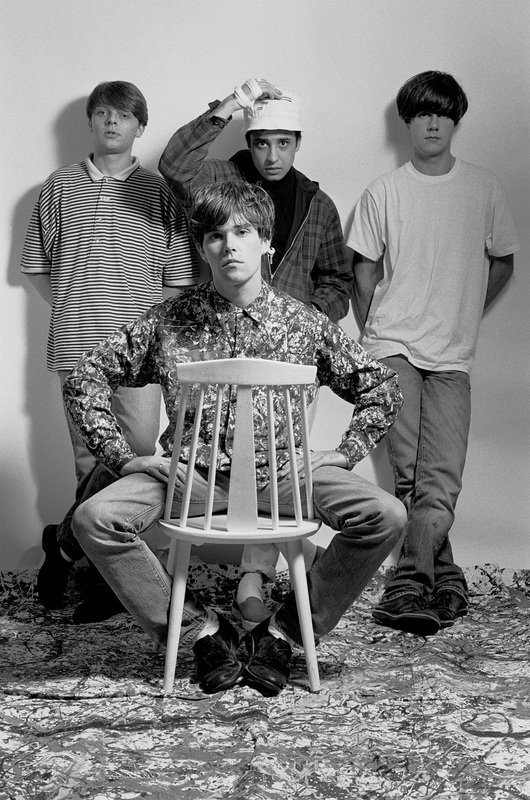 Garner, who attended Burnage High School (also attended by future Stone Roses guitarist Aziz Ibrahim), had been Stone Roses bassist from March 1984 to August 1987, playing on the 1985 So Young / Tell Me release, as well as their 1987 single, Sally Cinnamon. Garner's last gig with the band was at Liverpool's Sefton Park on 11th August 1987; in June of that year, he announced his intention to leave, but continued until a suitable replacement could be found. He tried to teach his friend Rob Hampson the basslines, before his place was eventually permanently taken by a longtime friend of the band, Mani. During his very brief stint in the band (August 1987 - November 1987), Rob Hampson was photographed in an Ian Tilton photoshoot for Sounds magazine in September 1987. Hampson can be seen in the audience in the video recording of The Stone Roses' first warehouse party (Manchester Flower Show 1, 20th July 1985). 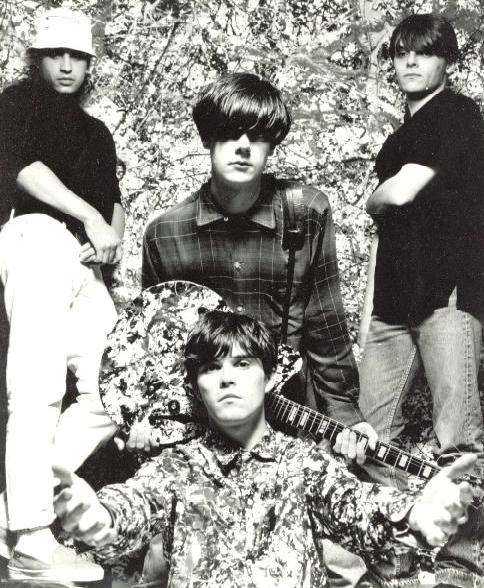 By the end of 1987, Andy Couzens and Pete Garner had left The Stone Roses and the band recruited bassist Gary Mounfield, thus completing the definitive Stone Roses lineup. 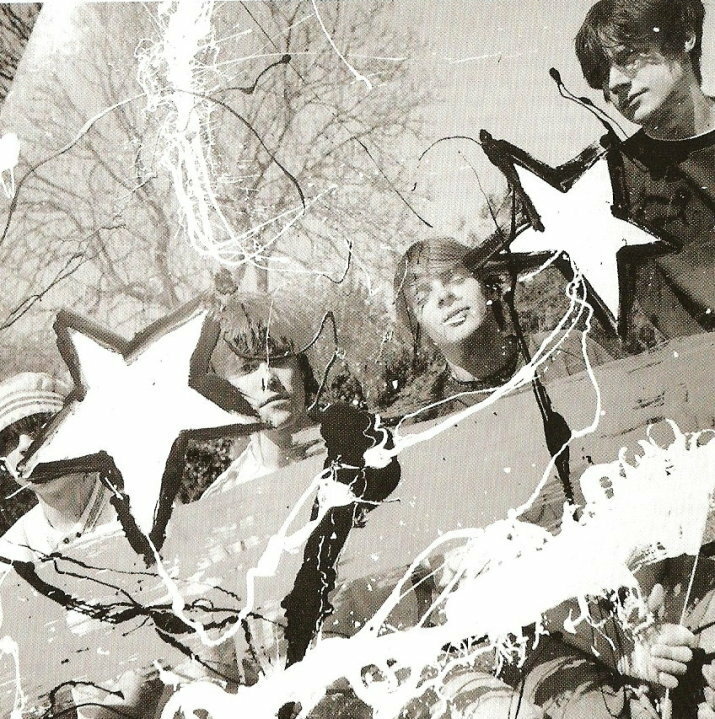 The band quickly became much tighter as a musical unit, and developed a trademark visual style - baggy clothes and Jackson Pollock adorned releases and equipment. Mani grew up in Moston, on Manchester's north side, and played bass in a host of punk outfits, such as Urban Paranoia. He became bassist in The Mill, an early 80s group featuring Clint Boon on keyboards and Chris Goodwin on drums, and later featured in the pre-Stone Roses incarnation, The Waterfront. Mani joined The Stone Roses in November 1987, with his live debut coming at Manchester International 1 on the 13th of that month. The scene of the formation of the classic Stone Roses line up was Oxford Street, Manchester, where Mani met Ian, John and Reni, on their way to place an advertisement in search of a replacement for Pete Garner. Mani has a distinctive rich playing style that combines a fast-moving rock style with a dance rhythm, or dub groove. 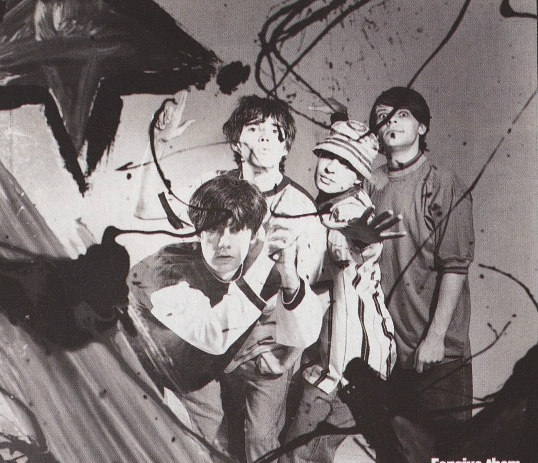 The psychedelia-tinged Elephant Stone was the band's third single, at which time they had also secured an album deal with Jive / Zomba offshoot, Silvertone Records. Geoff Travis of Rough Trade was on the verge of signing The Stone Roses. Lindsay Reade (ex-wife of Tony Wilson), who was co-managing the band, called Rough Trade, strongly encouraging the label to come and see them. Travis went to see them in Manchester at the International Two and was suitably impressed. A meeting also took place in London, after which, as far as both parties were concerned, the band had signed to Rough Trade. Gareth Evans, co-manager of the band, had other ideas however. Also, Rough Trade Distribution was falling apart at this time, and it was a period of tension between the record label and distribution. The lawyer for the Rough Trade label and Distribution was the same person and he failed to send the contract. Meanwhile, the band were keen for Peter Hook to produce Elephant Stone, to which the label gave their financial backing. Hook's production work was lacking, however, and an entirely new remix was required. This process took place at Zomba Studios in Willesden, where the engineer alerted his bosses of this exciting new prospect. In a discussion between the band and Evans at Reni's flat in West Didsbury, Squire was the lone voice insisting that the band should sign to Rough Trade. The majority decision was to sign to Zomba, a label best known in the UK for launching the singing career of former Page 3 model Sam Fox. From this point, Gareth Evans took over management of the band completely. Zomba had asked Andrew Lauder and his partner Judith Riley to run an imprint for them that Lauder called Silvertone. Working from a portakabin adjacent to the Zomba building, it was from here that Lauder and Riley ran The Stone Roses' career while on Silvertone. The Stone Roses, at their hinge moment, were managed by two people - Gareth Evans and Lindsay Reade (who worked out of Gareth's office opposite The International). Reade managed to capture the attention of the influential figures in the London based music industry, and Geoff Travis often recounts how his biggest regret is failing to sign the band after Reade had set the wheels in motion. The contractual problems which the band would soon become bogged down in have their roots here; due to the switch from Rough Trade to Jive / Zomba and then to Silvertone, the Elephant Stone single had been on hold for six months. In the wake of Reade's departure and the Rough Trade deal falling through, Evans was increasingly out of his depth. 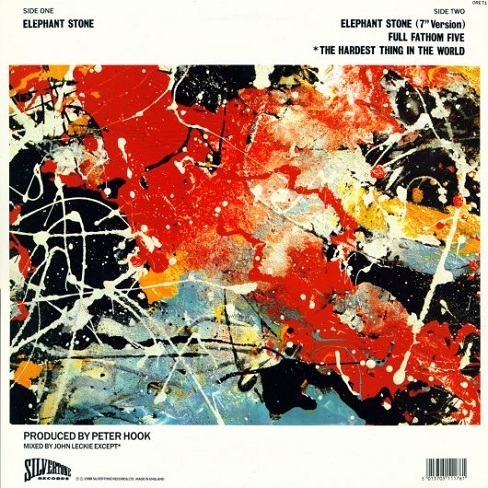 Two different versions of Elephant Stone were produced: the superior Turns Into Stone release (by John Leckie) which contains a splendorous 'summery' intro, and a Peter Hook produced shorter version, which opens with Squire's guitar making the sound of an elephant. This latter collaboration came about from a connection with The Stone Roses' roadie (and former New Order roadie) Slim, a close friend of Peter Hook. Hook's engineer, Michael Johnson, did most of the production work on Elephant Stone, with Hook playing some part in the process (such as persuading Reni to play sixteenths on the high-hat throughout the song, to make it swing). 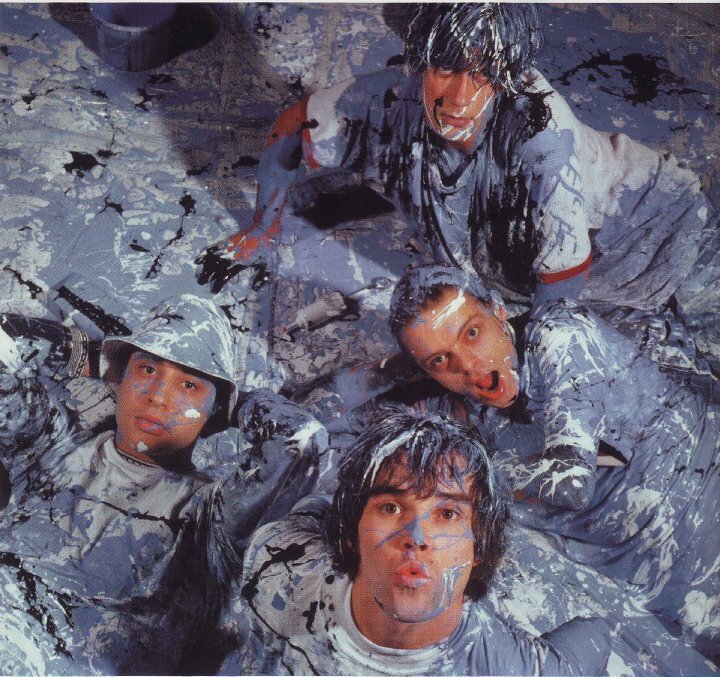 Throughout their apprenticeship on the margins of the mid-eighties indie scene, The Stone Roses occupied a classic romantic-radical location from which they were insistent, much like The La's, that another dimension lay dormant, ready to breach with the requisite collective belief and imagination. Amidst the druggy landscape of dole culture in Thatcher's second term, Elephant Stone captures the first stirrings of this spirit, a place where fantasy and utopianism offered a trapdoor-escape from post-industrial depression. The song is awash with undulating wah-wah guitar, billowing bass lines, chorused arpeggios and an ethereal vocal, exemplifying how the band were able to wield all the guitar mastery of The Smiths whilst factoring in the dance aesthetic of New Order. 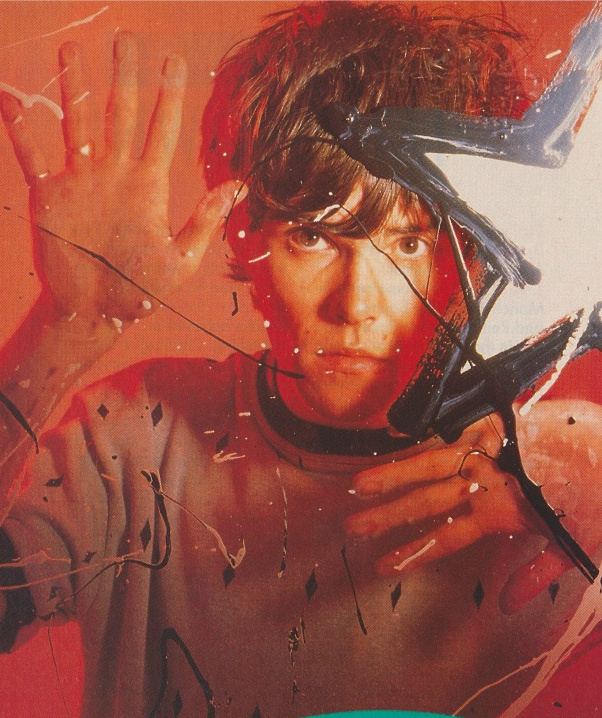 In the Australian press release for The Stone Roses' debut LP, Ian Brown acknowledges the debt to New Order: "Elephant Stone was more of a dance song than the other stuff we had been doing and we like a lot of the dance stuff that New Order has done." The original Peter Hook mix of Elephant Stone, unbeknown to fans, was nestled in their music collections all along. It was released in backwards form as Full Fathom Five, on reissues of the Elephant Stone single and on The Complete Stone Roses compilation. This differs from the 'actual' Full Fathom Five, which is shorter, and has had extra mixing work. The Elephant Stone press release made purchase out of the band's 1985 warehouse gigs. 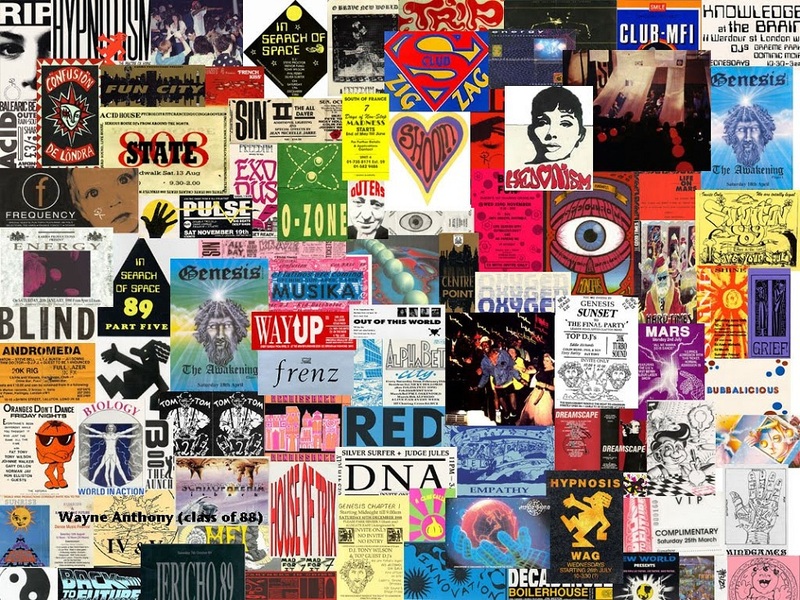 "We saw some of the spirit of Paris '68 reflected in the acid house movement. People were coming together and governments don't want that. The Criminal Justice Bill was a reflection of just how threatened the Establishment was by what was going on. It's easy to forget that." (Mani, Mojo magazine, May 2002). The release of Elephant Stone coincided with seminal Manchester warehouse party, Sweat It Out (8th October 1988), organized by the Donnelly brothers, Anthony and Chris (Gio-Goi label founders). Ian Brown was present at the event and would soon strike up a friendship with the brothers. "Rooms are empty, I've got plenty..." is possibly from John 14: 2. 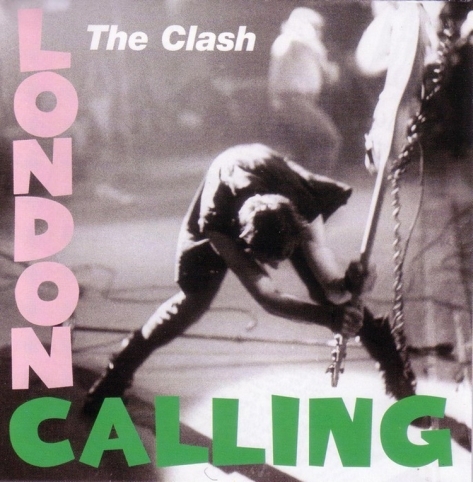 Top left: 'London Calling' (1979) by The Clash. The cover artwork was created by Ray Lowry, who struck up a friendship with the band, leading to an invitation to accompany them on their 1979 tour of the USA. 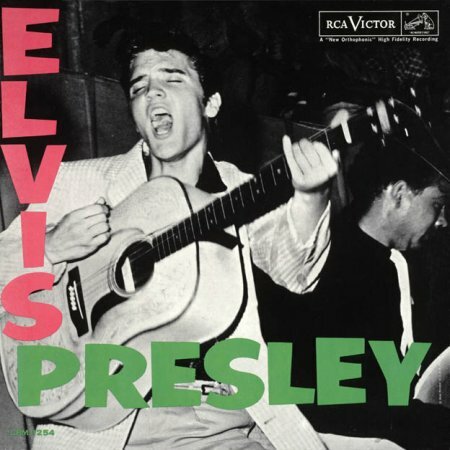 The Clash paid homage to Elvis Presley's debut LP by replicating the vibrant pink and green typography over a monochrome Pennie Smith photo. The juxtaposition of Elephant Stone's 'Arctic sheets and fields of wheat' is perhaps subconsciously influenced by the title track of this Clash LP ('Meltdown expected, the wheat is growing thin'). Top right: 'London Calling' (2010) by John Squire. 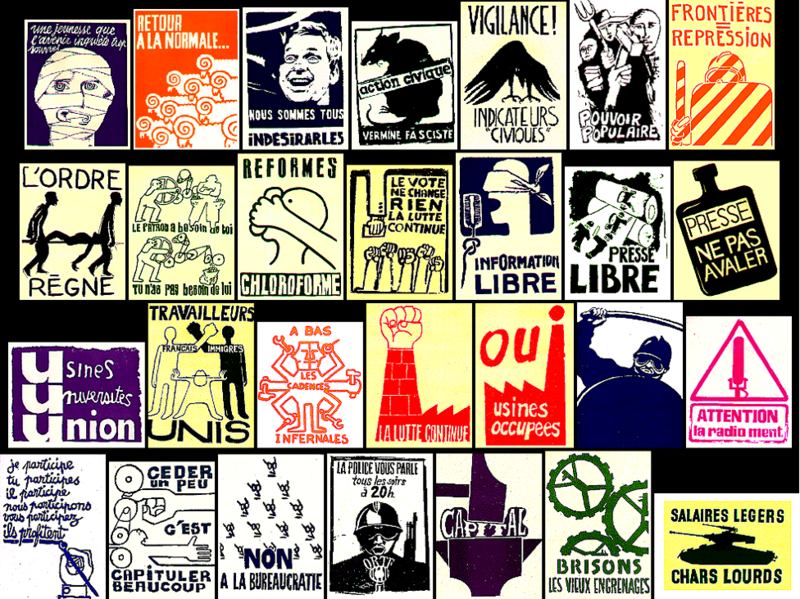 This artwork was a one-off commission, created to celebrate the work of Ray Lowry, who passed away in October 2008. A retrospective of Lowry's work was held at the Idea Generation Gallery in Shoreditch, London from 18th June - 4th July 2010, in aid of the Ray Lowry Foundation. As part of the exhibition, 30 creatives, including Tracey Emin, Nick Hornby, Billy Childish, Harry Hill, Paul Simonon and Humphrey Ocean, produced reinterpretations of the iconic London Calling album cover. 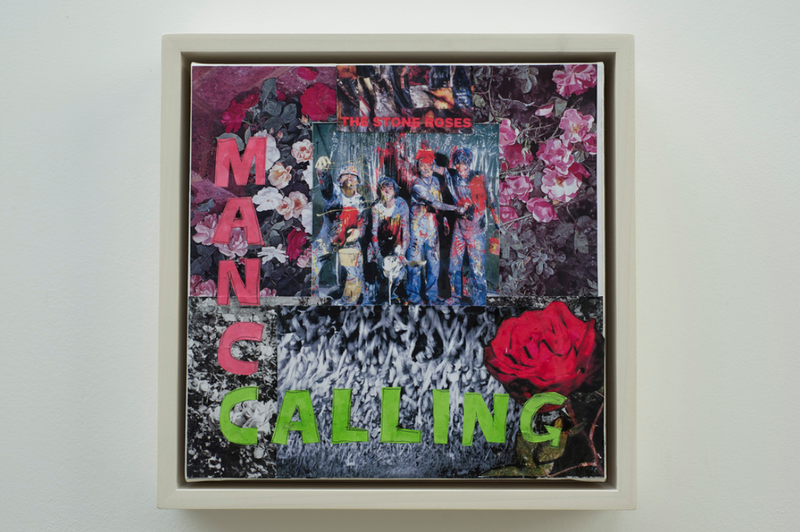 The Clash were a well of inspiration for Squire throughout his career, and at this exhibition, Mick Jones returned the compliment with a Manc Calling artwork (stick to the guitar Mick !). 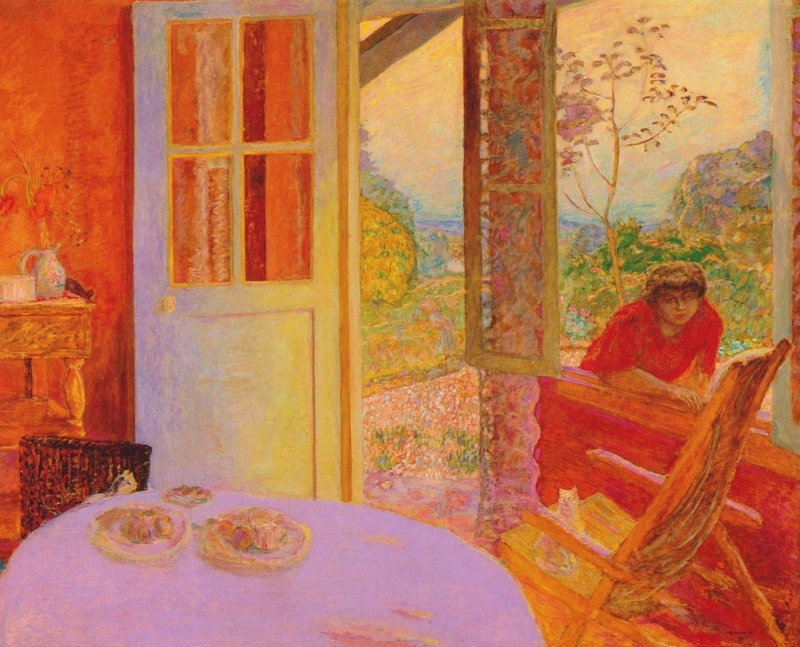 Bottom: 'The Dining Room in the Country' (1913) by Pierre Bonnard (1867 - 1947), a French painter and printmaker, as well as a founding member of Les Nabis. 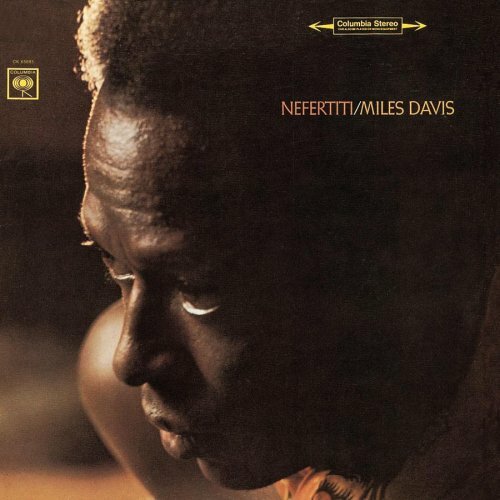 Squire's London Calling homage is the first step in the evolution of his Nefertiti series of artworks, which featured transcribed tablature of Miles Davis's 1968 LP, 'Nefertiti'. Squire's artwork from this period borrows from the palette of Bonnard, as he acknowledged when speaking to The Independent on 17th May 2010. Elephant Stone front and back cover artwork. "In a way, that's probably the most original. It preceded any sort of research: it was me throwing paint at the canvas and seeing what happened. I liked it: it seemed to me like there were two Marvel superheroes going nose-to-nose in there. That made it a success - although maybe that was missing the point; that it should be rhythmic, disconnected from any kind of figurative tradition." 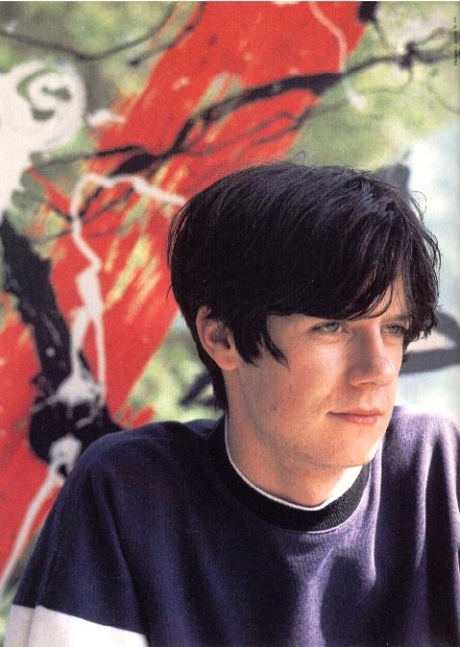 (John Squire speaking to his official site). Pollock's modernist impulses broke with conventional representation and brought art into a whole new field of calculated incoherence. The artist sought to eliminate any suggestion of representational form in his work. In Autumn Rhythm (1950), man is presented as an inchoate, incoherent assembly of impulses and energies. The universe is depicted as the blind watchmaker, with no logic, no purpose. Just sheer being, sheer existence.